And we are now officially in the last month of the year! I hope that all of you have been making yourselves available to attend at least one of the events that I have been introducing to you all this while! I’ve been to Culture Cartel and ZoukOut over the weekend and it was a blast, and if time permits, I’ll write my experience on these two events this week! And without further ado, let’s take a look at what’s happening this week! The weekend is arriving earlier this week because The Weeknd is in the Singapore Indoor Stadium this Wednesday (ha-ha)! 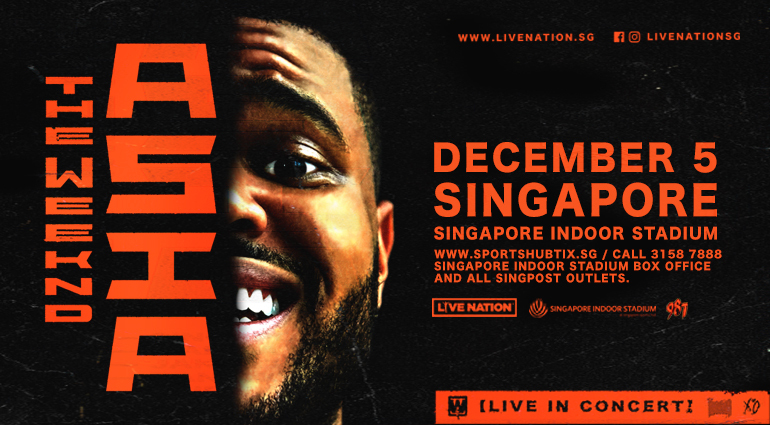 This mother****ing starboy will be performing his greatest hits such as Can’t Feel My Face, Starboy, I Feel It Coming, and Call Out My Name right on Singapore’s shores! So catch him this weekday! The world’s largest inflatable obstacle course, aptly named The Beast, is now setting up at the inaugural GTFO! Singapore at Palawan Green, Sentosa this week! Get The Fun Out! 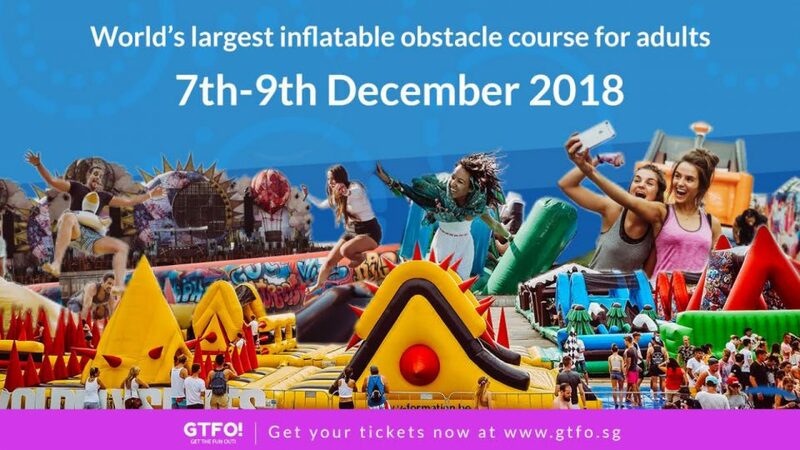 is a massive adult playground where you get not only get to conquer the inflatable obstacles, take part in fitness workshops, but also get to taste the food from the various food stalls available at the venue! Accompanying you through all of these are the energetic beats from live DJs and bands! It’s time for the inaugural Standard Chartered Singapore Marathon again! What’s notable about this year’s rendition is the addition of the 5km race event alongside its signature half and full marathons. However, at the time of postings, the registrations have all been filled up, so this will serve more as a heads-up for drivers who will be in the vicinity of the city area this weekend. Christmas is the season of giving, so what have you been doing if you haven’t gotten your gifts ready for Christmas yet? But don’t worry, here’s another chance for you to get your Christmas shopping done. 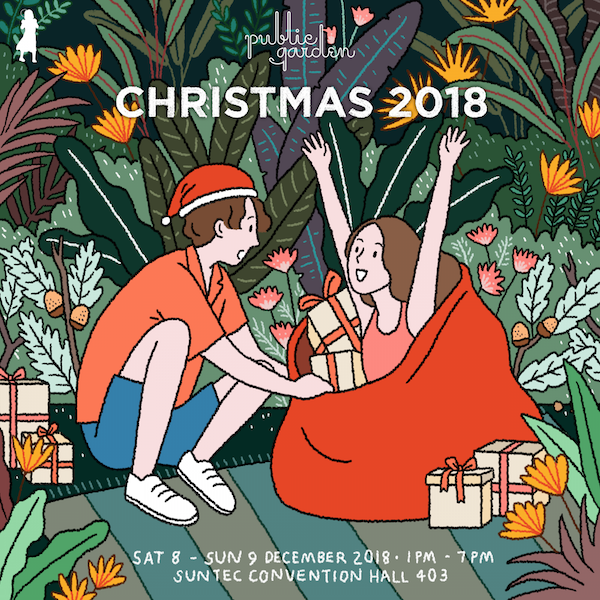 Happening this weekend at Suntec Convention Hall, Public Garden Christmas Market will be displaying a huge variety of products from fashion and beauty to home and interesting products from up-and-coming makers as well as independent labels! Go check them out! Clarke Quay is one of Singapore’s landmarks when it comes to Singapore’s nightlife. Along side with the various clubs and pubs, there are also a number of restaurants that cater specifically to the nightgoers. This week, Clarke Quay is bringing 15 of its restaurants and bars out into the open as part of a FEASTival. 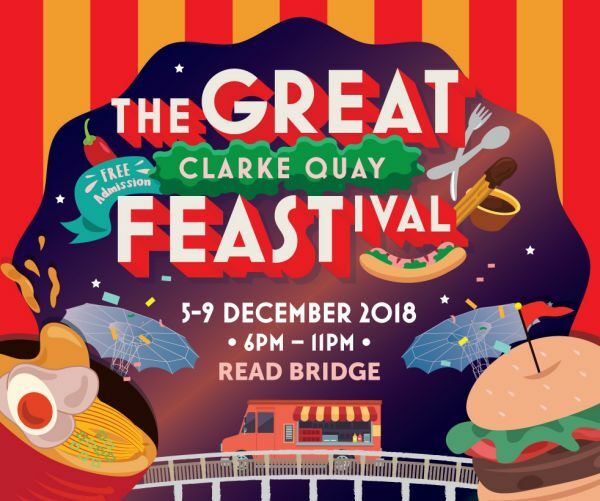 Happening on the Read Bridge, the 15 restaurants will be setting up booths where you not only get to try bar bites and signature dishes, but also curated cocktails, wine and craft beers! And a festival is never one without music, so you will be able to enjoy live performances while you feast on the bridge!